What is it that makes her so impressive? I am sure it helps that she looks beautiful. The image of one lady standing up against military oppressors cuts an almost equally powerful figure as that of one person with plastic bags standing in front of a row of tanks near Tiananmen Square in China in 1989. 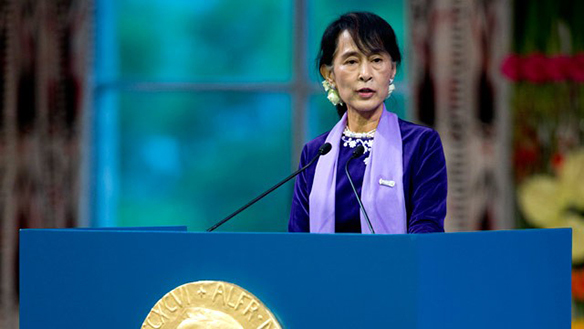 In Burma, I am also sure it helps that she is the daughter of the country father Aung San, who was killed when she was only two years old, and whose legacy she sees herself as carrying on. Her enormous sacrifices, refusing to leave house arrest to visit her sons and her then dying husband in England, create an ambiguous, but also awe-inspiring impression. 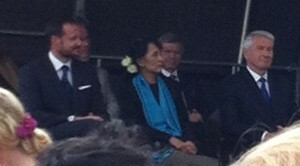 And the fact that she speaks so well certainly helps. 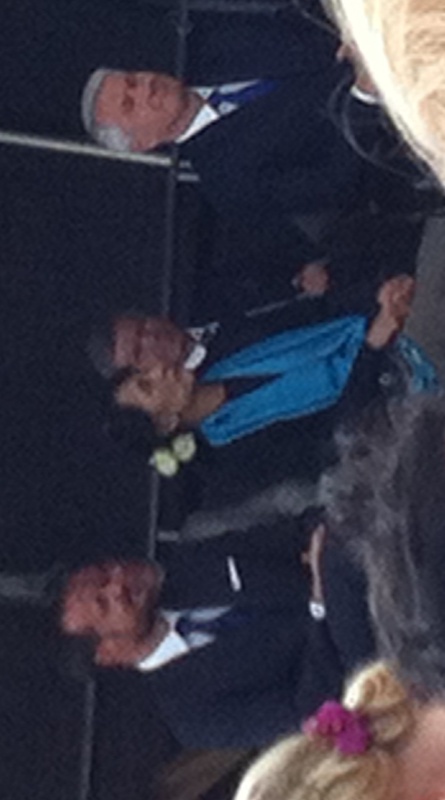 Aung San Suu Kyi at the event in Oslo on 16 June, 2012 – with the Norwegian crown prince and two former Prime Ministers. But there are also, of course, inner qualities. Her iron will and her lack of fear, and her extreme clarity in thought and action. No doubt she has a clear sense of mission. This, combined with her emphasis on kindness and human dignity – including her will to make compromises when possible and helpful – is part of what impresses us. Their meditations are certainly different, from Nelson Mandela‘s simple reflections on the weaknesses of his own character to the Dalai Lama’s elaborate Tibetan Buddhist practices and Aung San Suu Kyi’s vipassana meditation. But for all of them, meditation stimulates an inner process that they see as a basis for their political commitment. Meditation may not be the reason why they come forth as so impressive figures, but at the very least it nurtures their inner process in a way that they themselves consider important for their political orientation. ← How old is meditation?